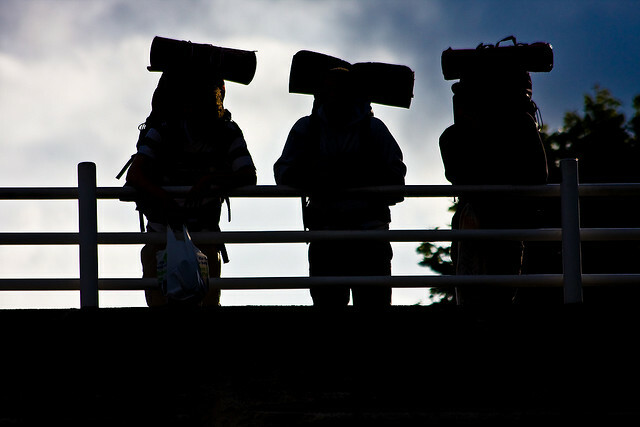 When you think about backpacking, you probably think about someone who has all the time in the world. Sometimes, that’s the case. It’s also an amazing way to trek through the world. But backpacking is also an adventurous and inexpensive way to take vacations from your day job. The only difference is that you need to be back at a certain time. You may think you need a lot of stuff to get through the journey, but you probably only need about half of what you’re planning to bring. Take a look at what you’re going to pack and cut everything that’s not essential. If you’re having trouble keeping your pack light, ask a friend to review and make suggestions on things to cut. You can typically cut a few other things this way, so you’ll be light on your feet and ready to go anywhere. If you’re taking a road trip to your backpacking destination, make sure your vehicle is ready. Keep the vehicle running by getting an oil change and topping off fluids before you go. If possible, have road-ready technology for the trip, too. A good navigation system can help ensure you don’t get lost on your way to your destination. When you’re planning your trip, make note of how long it will take to get to each milestone. You don’t necessarily need to stay on a “tight schedule,” but you should have an idea of how much time you can spend in each spot while still getting back in time. If you throw caution to the wind, you could end up stuck too far away without enough time to get back home. You may have GPS for your car, but that’s not enough to keep you from getting lost while backpacking. If you know you’ll be in areas with cell service, you may be able to rely on your phone for navigation. If not, you may need to get a handheld device that works off of satellite. This way, you should be able to find your way around even when you’re in backwoods locations. Especially if this is your first time backpacking, you’ll want to choose an easy route that’s not too far from civilization. This way, help will always be nearby. Imagine what would happen if you were miles from another person and had an emergency. That would certainly set you back, and it could also be extremely dangerous. Check backpacking forums to find out about some of the best routes in the area. The best way to save time while you’re backpacking is to remain focused. Although it would be nice to saunter along and enjoy the scenery without limits, you’ll just have to keep your eye on the time. You’ll find that backpacking is still a freeing experience.